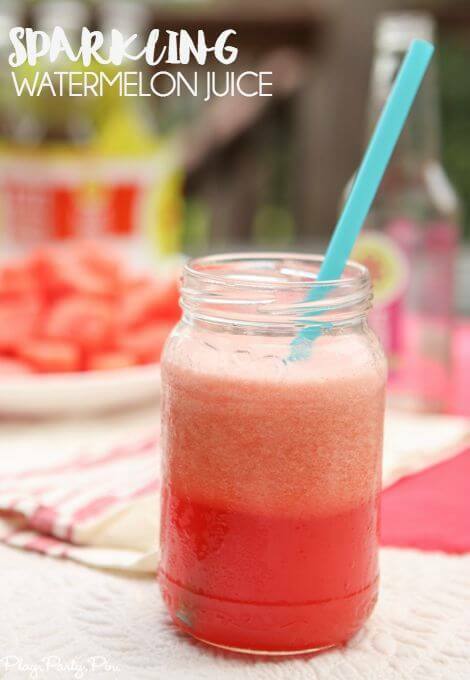 This sparkling watermelon juice is the perfect summer drink for a hot day or a great drink for a party or girls night! My dad has gone on this kick the past few months where he mainly drinks two things – homemade watermelon juice and sparkling water. 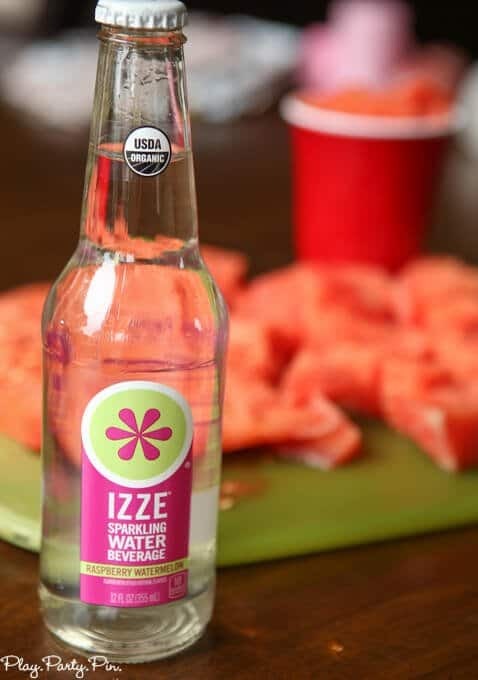 While we were in Kansas a couple of weeks ago, I saw the latest from IZZE, new IZZE flavored Sparkling Waters at the grocery store and I knew I wanted to try combining his two favorites into a sparkling watermelon juice. I picked up a 4-pack pack of all three of the true-to-the-fruit flavors – raspberry watermelon, mandarin lime, and blackberry pear – to figure out which one was the best. It’s also available in 12-oz glass singles, but I thought the 4-packs would be better for my purposes. Raspberry watermelon was the clear winner with the hint of flavor complimenting the natural watermelon flavor without being too overpowering. 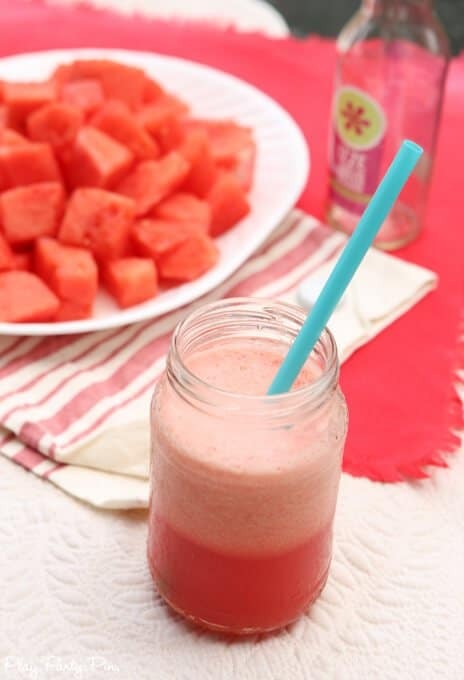 This sparkling watermelon juice is perfect for anyone who is looking for a sweet bubbly drink without all of the added sugar of juice or soda. 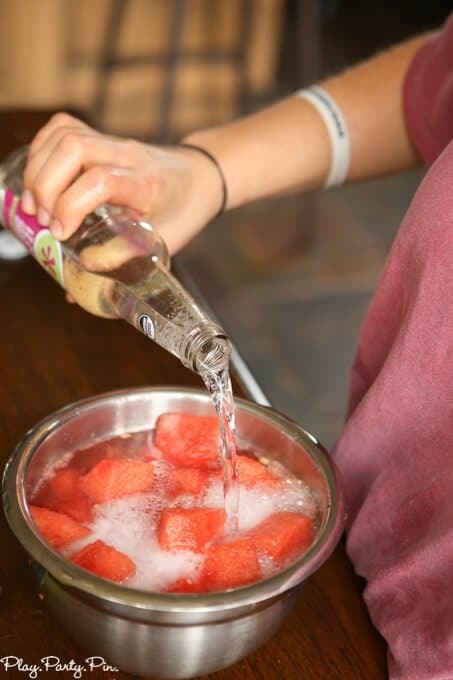 And for people who love sparkling water and watermelon juice like my dad, this is the perfect refreshing summer drink. 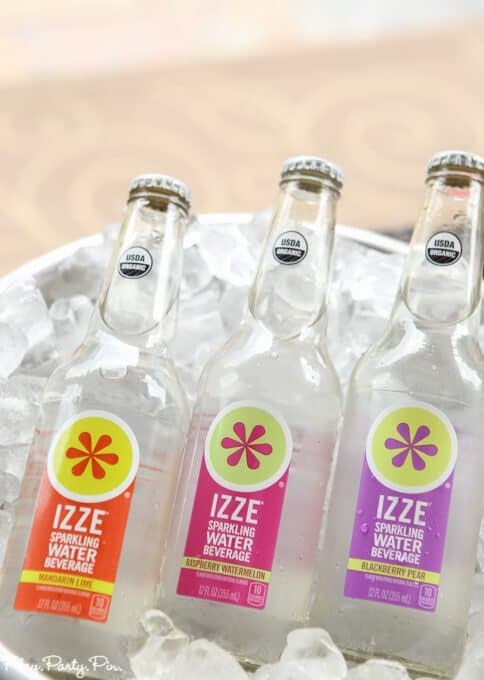 And with only 10 calories per 12-oz serving and just a hint of organic cane sugar, drink, you can drink it every day without any regrets. 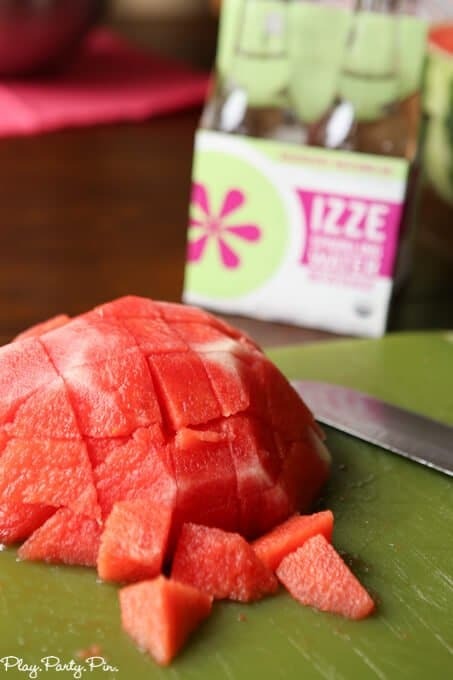 It’s simple to make, just combine chopped up watermelon with your raspberry watermelon IZZE sparkling water in the blender until well combined. 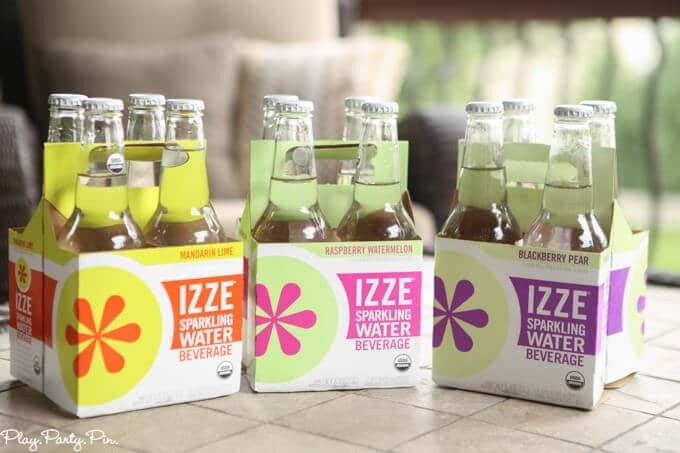 I’m not providing specific measurements because how much IZZE you add is dependent on if you’d prefer more of a bubbly taste or a stronger watermelon taste. I would start with just a little, taste the juice, and add more if you want more sparkle. You can always add more but you can’t take it away once you’ve added it into the blender. 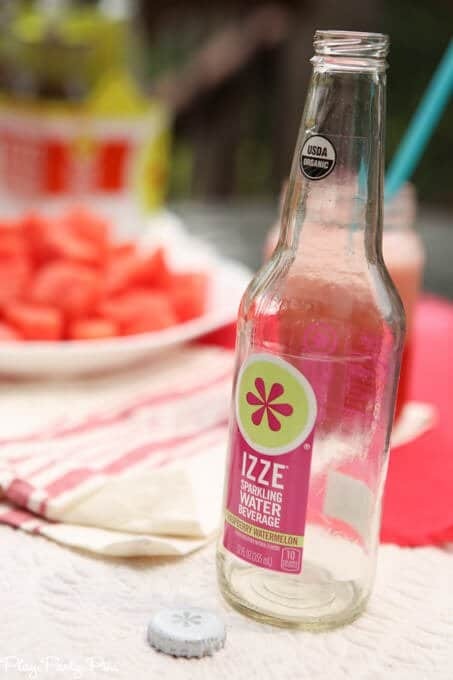 Serve it up with some fresh watermelon chunks and the other flavors of IZZE sparkling water for the perfect refreshing outdoor snack.